A short history of Syria’s moderate and not so moderate rebels. It was not a coincidence that the fourth anniversary of the Syrian crisis has come at the same time as a highly significant event: Jabhat al-Nusra cleaning the clock of the “moderate” Hazm movement. As the war enters its fifth year, the moderation of its American version is fading, while extremism takes central stage with a supply of ammunition from the warehouses of “moderate” groups. The year 2014 aptly deserves the title of the “year of extremism,” not only in Syria, but also on the regional and international level. The threat of extremism is no longer limited to the Syrian scene, but has become transnational, moving through countries and feeding on the smell of blood and oil. An truly outstanding event in 2014 was the IS (Islamic State) announcement of the caliphate state on April 29 — a step that reversed the course of history back 90 years or so. When the Syrian crisis began in the spring of 2011, ignited by a movement that, according to the organizers and their Western promoters, called for freedom and democracy, intellectuals expressed doubts at the time. They said that the movement was extracting the seed of extremism and threatening to spread chaos and destruction. Their arguments were based on the absence of a founding ideology and an authoritative command able to control the movement and prevent chaos. No one really thought that events would develop as such, to the extent of announcing a caliphate state, stealing history, destroying heritage, and besmirching Islam in such an unprecedented way as it now has happened. The first parties to carry arms in Syria were Jaysh al-Islam and Ahrar ash-Sham. Since the beginning, neither faction objected to the attribution of their operations to the FSA (Free Syrian Army) by the media. Supporting and funding countries wanted the FSA to be the facade of moderation and democracy, all while the command of both mentioned factions considered it a mere tool that could be used until the main goal was achieved. The main goal was: ousting the regime. After that, they would cross the next bridge when they came to it. 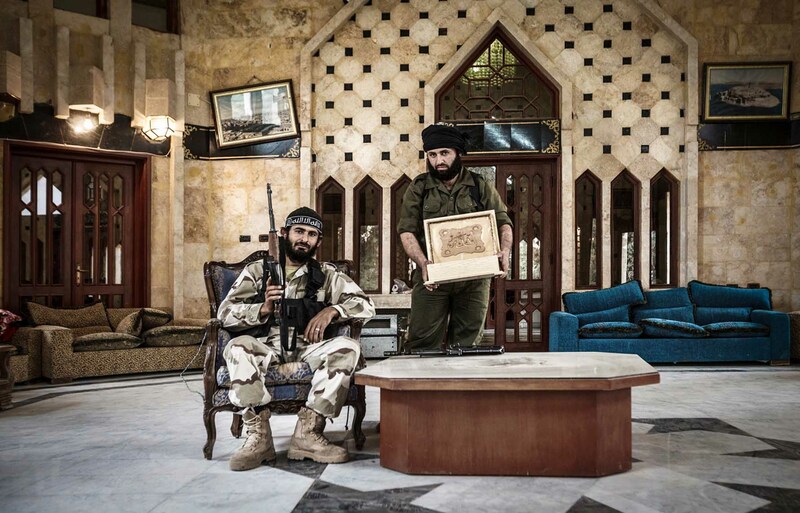 Although both factions had a non-homogeneous Islamic aspect, there were disparities, mainly that Jaysh al-Islam, which has a closeted Salafist jihadist penchant, limited its operations to inside Syria. Ahrar ash-Sham, however, which has a more determined and ambitious Salafist nature, had goals that went beyond Syria and included most of the levant. This was clearly expressed by its previous leader Hassan Abboud in an interview with Al Jazeera, when he showed desires to remove all borders between countries. Given its stark jihadist nature, along with a purposeful display of this nature, Ahrar ash-Sham was able to attract the first foreign fighters to its ranks. It is no longer a mere assumptive to say that the majority of Jabhat al-Nusra and IS commanders fought in the first year of the Syrian crisis under the flag of Ahrar ash-Sham. These commanders were promoted directly by al-Qaeda leader Ayman al-Zawahri. It has become known that the latter circulated a decision stipulating that the presence of al-Qaeda and its members be kept strictly secret in Syria as he did not wish for the name of al-Qaeda to constitute an impediment. It is still unknown why al-Qaeda members split from Ahrar ash-Sham and formed their own entity under the name of Jabhat al-Nusra at the end of 2011, coincidentaly with Abu Mohammad al-Julani entering Syria after being delegated by the commander of Iraq’s IS, Abu Bakr al-Baghdadi, to support the people of Sham. The sensitivities that accompanied this split indicated that it was not premeditated, but leveraged by disputes between both parties. Although its nature and reasons remained under the rug, the split constituted the first occasion to exchange cautious accusations about the formation of the Awakening Movement (The Sahwa force) in Iraq. Ahrar ash-Sham, with its jihadist nature and transnational project, constituted a fertile ground for Jabhat al-Nusra, while Jabhat Al-Nusra in turn was the most fertile ground for the growth of IS and its inception in April 2013. This time, however, the split was fulminous, and ushered in the biggest jihadist strife in the history of these groups. IS, controlling the majority of Raqqa and large swaths of Deir ez-Zor, in addition to the eastern rural area of Aleppo and different areas in Hasakah, Hama, and Homs, announced the caliphate state. The caliphate also included cities that fell under the organization’s control in Iraq, mainly Mosul. Jabhat al-Nusra, which became also more extreme after its defeat in the eastern area, sought to found an emirate in northern Syria, while Jaysh al-Islam led by Zahran Alloush was imposing control on eastern Ghouta and breaking the exclusivity of operations inside Syria by mounting offensives against IS in Lebanon’s Arsal. Amid this inter-rebel competition and ensuing conflicts, the environment proved no longer suitable for the FSA to remain, and the FSA was therefore put to death. 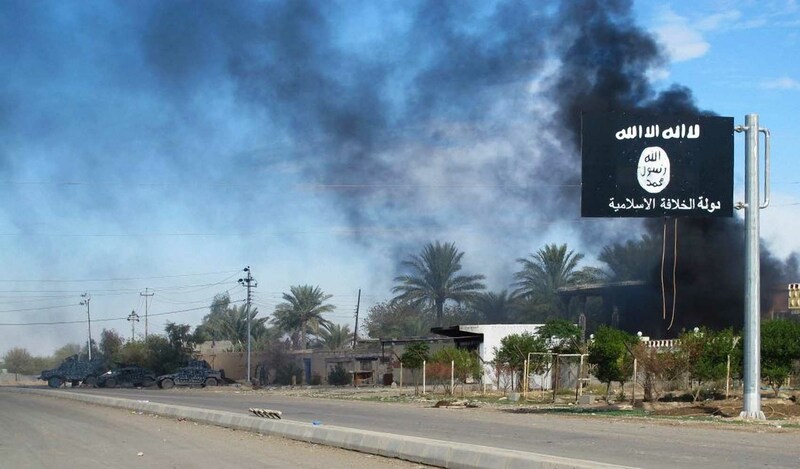 The task was started by IS, fighting al-Shamal brigade in Azaz and Ahfad al-Rasul in Raqqa. At the end of 2013, Jabhat al-Nusra and Ahrar ash-Sham delivered to the FSA a severe blow at the Bab al-Hawa border crossing, taking over its weapons warehouses, which were supplied by Arab and Western powers. At the end of 2014, the task was fulfilled by seizing the remaining FSA arms caches in the north: Jabhat al-Nusra overrun the Syria Revolutionaries Front and the Hazm Movement, taking over their quality weapons supplied by the USA, mainly anti-armor missiles. This factional conflict that lasted for more than a year and a half could not have gone on that long without entailing radical changes in the factions that were party to it. When it comes to Ahrar ash-Sham, the movement reconsidered its ideological stands that almost ended in giving up on jihadist Salafism, had not scores of its commanders been killed in an operation that is still shrouded in ambiguity. The movement had to split into two currents, one holding on to Salafism, and the second looking to “repent,” as explained by one of its late commanders, Yazan al-Shami. Jabhat al-Nusra is struggling with a clearly visible decentralization on the level of command. It looks like every branch, particularly in Qalamoun, South, and North of Syria, is split from the other. There is also a continuous dispute imposed by internal and external pressures over the issue of disentangling from al-Qaeda. IS, which developed into the most extreme movement, was too preoccupied with clashes on all battlefronts in Iraq and Syria and its significant losses of men and material to think about settling its internal disparities. The discrepancies surfaced at times in the form of mysterious arrests and assassinations, or quick trials of its commanders and emirs over accusations of corruption and exaggeration. These splits among jihadist groups indicate the seriousness of the dilemma that each is experiencing. The most important aspect of the dilemma is that any decision that is made under specific circumstances can lead to a group’s destabilization, and subject it to splits. This was clearly exemplified with Jabhat al-Nusra in what concerns disentanglement with al-Qaeda, and with Ahrar ash-Sham in what concerns giving up jihadist Salafism. The seriousness of the dilemma is further intensified by the conflicts among the groups themselves, inflicting material and human losses that exceed those endured in the war with armies, such as the Syrian and Iraq militaries. As the international coalition against the Syrian terrorist organizations — mainly Jabhat al-Nusra and IS — was formed, these groups reached a stalemate and became compelled to accept their dilemma against the backdrop of a regional and international isolation that is starting to hurt, although the isolation is still objected to and clandestinely circumvented by some countries for different reasons and interests. The projects of these groups have become nonviable. Even if they hold on, one has to ask how long they will able to survive under such complicated circumstances? In light of the discussed facts and the general situation in the conflict zones of Syria, Libya, Yemen, Egypt and Nigeria, the main question that can be asked as the Syrian crisis enters its fifth year is: Will the coming year witness a festering of the internal contradictions in these groups on various levels, leading to their inevitable demise, or will the existential dilemma lead to another mutation, whose genetics and specific traits cannot be predicted at the moment? The author describes IS as just another jihadist terror group and not as a special creation of Western agencies, but one can argue that IS is a complex entity which can be viewed in both ways. The author mentions an international isolation which doesn’t exist or only exists in Western media as prevarication to fool the public. Abdullah Suleiman Ali has written a follow up article about Jabhat al-Nusra, which likewise seems too optimistic about a possible isolation of this particular jihadist terror group, but the article is informative and includes many interesting details. The increasing rejection of Jabhat al-Nusra and mounting criticism against its behavior and performance — be it on the part of the leaders of some rebel factions or opposition politicians — indicate that the latter have received the order communicated to them by their “liaison officers” to start fighting Jabhat al-Nusra. Therefore, work is underway to put that decision into effect. 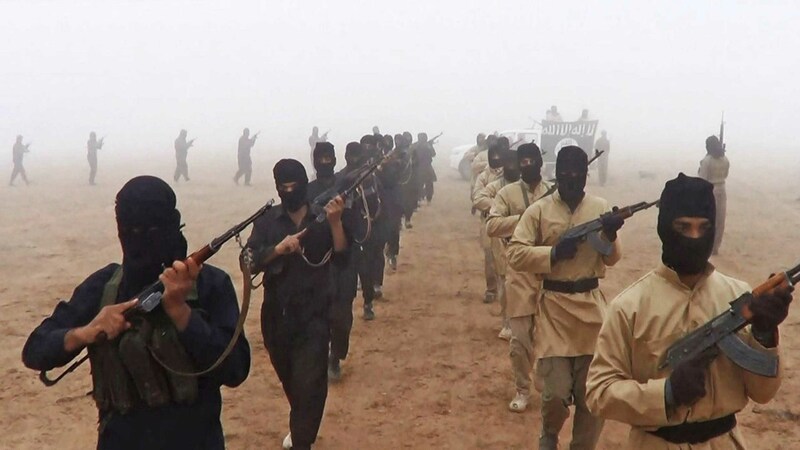 The atmosphere of isolation surrounding Jabhat al-Nusra and the regularly mounting criticism against it show that this group may be destined for a fate similar to that of IS (Islamic State), its prime enemy. IS was fought by most of the Islamic factions early last year, with Jabhat al-Nusra spearheading that war. Jabhat al-Nusra seems to have been unable to envision that, one day, it might be fiercely fought as well. There are growing indicators that most of the countries that supported and funded Jabhat al-Nusra have completely washed their hands of it in northern Syria. Meanwhile, the issue in the south of Syria is subject to different considerations, especially after Jabhat al-Nusra refused to yield to the pressure of these countries with regard to its disengagement with al-Qaeda. Nevertheless, some countries — led by Qatar — still maintain a strong connection with Jabhat al-Nusra. This connection has been made clear through two main factors. The first is Qatar’s continued presence at the forefront of the negotiations related to the Lebanese kidnapped soldiers in Qalamoun; the second is Al Jazeera’s rhetoric, which overtly praises Jabhat al-Nusra and its leaders. This rhetoric has recently angered factional leaders and activists, as it amplifies Jabhat al-Nusra’s role and tries to depict it as the only faction fighting on the ground. This prompted activists to launch a major campaign against Al Jazeera demanding more objective coverage. The channel hosts several senior Jabhat al-Nusra leaders. Chief among these is Abu Maria al-Qahtani, Jabhat al-Nusra’s former general legal official, and Abu Khadija al-Urdini, who led the attack on the towns of Nebel and Zahra, among others. Abu Maria al-Qahtani and Abu Khadija al-Urdini are both identified as terrorists under international law. Interestingly, Khaled Khoja, head of the opposition SNC (Syrian National Coalition), said that Jabhat al-Nusra “poses a threat to us and to the future of Syria, and is now expanding in areas under its control.” This is a radical shift of the SNC’s stance toward Jabhat al-Nusra, because the opposition had deemed Jabhat al-Nusra as “part of the revolutionary movement,” confirmed by the president of the SNC, George Sabra, in a famous statement that came in response to the US listing of Jabhat al-Nusra as a terrorist organization. Several opposition bodies and parties, especially the Muslim Brotherhood, asked the US administration to reconsider the listing. Khoja said that the leadership of the coalition is communicating with “the leaders of Ahrar ash-Sham and other factions in order to form the nucleus of this army,” amid an indirect confirmation of recent reports about the role that can be entrusted to Ahrar ash-Sham, and that the latter may be designated as the spearhead in the fight against Jabhat al-Nusra. Ahrar ash-Sham also signed an agreement last month with the Kurdish People’s Protection Units (YPG) concerning the administration of “liberated areas,” which was deemed as a challenge to Jabhat al-Nusra, given its enmity toward Kurdish fighters. Although Khoja put the establishment of a national army in the context of the creation of buffer zones, as per a Turkish-French project, that does not negate the possibility of a conflict with Jabhat al-Nusra for the simple reason that the latter is the actual dominant faction in most of the land where such zones can be established, assuming that the scheme sees the light of the day. Meanwhile, Ahrar ash-Sham has drawn clear boundaries with Jabhat al-Nusra, in a move seemingly aimed at “self-distancing” or skirting responsibility for its actions. Ahrar ash-Sham fears being affected by reactions that might not distinguish between the two (Jabhat al-Nusra and Ahrar ash-Sham) in light of their military alliance. Thus, Ahrar ash-Sham declared that it “has taken a neutral stance in the events that took place in south Damascus,” in reference to the fighting between Jabhat al-Nusra and the Sham al-Rasoul Brigade. In the statement issued March 15, Ahrar ash-Sham said that “it cares about the blood of Muslims from both parties.” This statement is a continuation of Ahrar ash-Sham’s policy that is pursued in various armed conflicts recently waged by Jabhat al-Nusra, against both the Syria Revolutionaries Front and the Hazm Movement. This confirms that the alliance between the two parties is more fragile than some think, and that it is only ongoing because of the constant field imperatives. But these imperatives can change any time. In the context of a regional message addressed to Jabhat al-Nusra, threatening the noose to be tightened around its neck, news leaked about the arrest of Sheikh Saqr al-Jihad and his handing over to Saudi authorities. Several regional states known for providing facilities to Jabhat al-Nusra fighters have had a hand in this arrest. Saqr al-Jihad is the Saudi counterpart of Ibrahim al-Bawardi. He fought with the late Osama bin Laden in Afghanistan, and then alongside Khattab (Thamer Sweilem) in Chechnya, and was one of the first “Arab-Afghans” to reach Syrian territory in 2011, where he secretly formed an armed battalion named Soqour al-Ezz. This battalion played a major role in the reception and transfer of foreign fighters to the various Syrian provinces. Bawardi, who swore allegiance to Jabhat al-Nusra last year, was arrested after he had to leave Syrian territory in January to receive treatment in a Turkish hospital, where he spent several weeks before being transferred to “a safe state,” which was not specified and is not known until now. The state though was not as safe as he thought and he was arrested there, transferred to Saudi Arabia and dropped into the Saudi al-Ha’ir maximum-security prison.